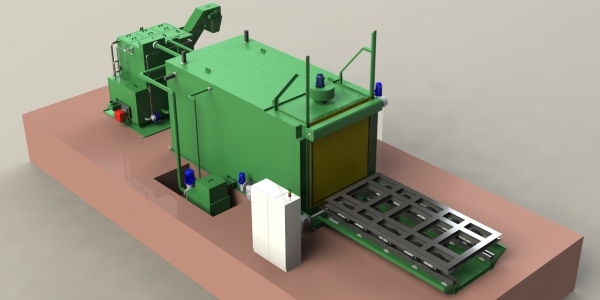 Spraymaster plants are cabin of washing provided with internal platform for spray washing with a water-based detergent. While the plant is in operation it results clean, odorless and completely isolated by the environment. The spraying chamber is closed by a frontal door driven by one or two pneumatic cylinder or by a motor reducer and a rack. In the vain of washing is directed the canalization that contains the net of spray nozzles. The jet configuration has been arranged in order to cover the surface of the items in treatment through a procedure which includes chemical, mechanical and thermal functions.